You can now hear Desert Skies in it’s full glory on Pitchfork’s streaming service Pitchfork Advance! The album, accompanied by images from it’s awesome looking album art, will be available for listening there until November 26 when it officially hits the stores! Bomp! 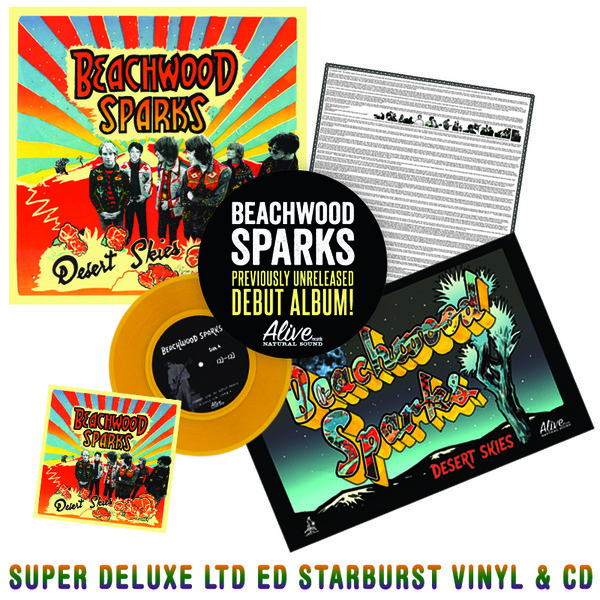 Mailorder is now taking pre-orders for Desert Skies, the unreleased debut album from Beachwood Sparks. I suggest you go for the deluxe bundle that comes with a starburst colored LP and a bonus orange colored 7″! Also, Alive Records has made another song off of the album available for streaming. This one is called Watery Moonlight. Listen below! 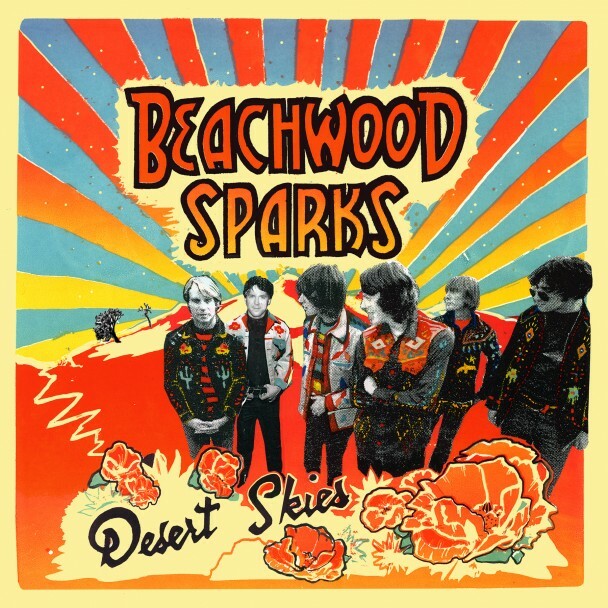 This is the awesome artwork for the new (old) Beachwood Sparks album Desert Skies! The release date has been set to November 20 and the album will be released by Alive Natural Sound Records/Xmas Records. Here’s the first sneak peek off of the album: Make It Together! The good people at Bomp! 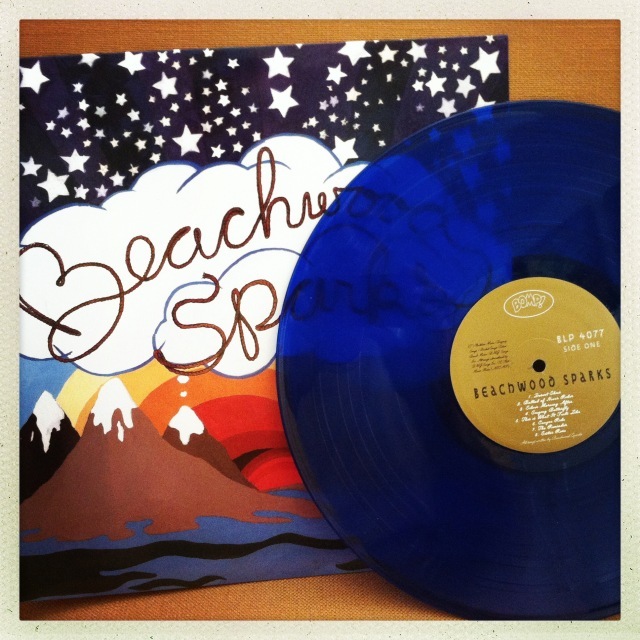 Records has just put out a reissue of Beachwood Sparks’ self titled debut album on limited edition blue vinyl! Get it while it lasts. The Tarnished Gold was released yesterday and the reviews have been very positive. Sub Pop and Yours Truly teamed up and made a little video about the recording of The Tarnished Gold. The Tarnished Gold out today! Today’s the day! The waiting is over – The Tarnished Gold is finally out. There will be a listening party this evening at The Satellite in LA. The Sparks and guests will be playing records all night long! There will be a bonus track for The Tarnished Gold called Dolphins & Pelicans available from iTunes. Pre-order the album (or buy the track separately on the release day) here!